Root Servers » which affordable options do I have with 1&1 IONOS? I would like to rent a root server – what are my options? Freely configurable: As a root server admin, you will enjoy maximum flexibility and handle all tasks yourself. Remote maintenance: Administrators can control and manage the root server from any workstation around the world. Windows or Linux: You can pick from a variety of Windows operating systems and Linux distributions. A server with root access is the perfect choice for your project, provided you have the technical expertise and the necessary time. Although managed solutions ease the workload, they do place excessive restrictions on your flexibility, especially in more complex projects. A VPS or vServer lets you enjoy the benefits of a root server at a very favorable price: install Apache, MySQL, PHP, or others; use FTP to upload your CMS software to the server, for instance WordPress or Drupal, and then install it yourself. Write your own applications and run them on your web server. If you like, you can also install a mail server with more options than the preinstalled program. A VPS is a virtualized server that shares the storage space of a single hard drive with other VPS. This is one of the reasons why VPS are available at such affordable prices. A dedicated server is not virtualized, so the CPU, RAM, and storage space are exclusively available to you. And while this is noticeable in the price, it does give you the certainty that the server belongs entirely to you—a security aspect that shouldn’t be sniffed at. In addition, the IONOS Dedicated Server comes with a few more features than the VPS, for instance the serial console and shell access. One of the many other options that IONOS Cloud provides for more complex projects, besides full root access, is the use of software development kits (SDKs), a load balancer, and a fully-documented programming interface. Pay-as-you-go ensures that you only incur costs for services that you actually use. Root servers give you complete freedom to manage your servers. This added flexibility can be highly interesting for companies and private users alike. While companies can configure their entire infrastructure on the root server, individual users tend to rent inexpensive root servers for websites and blogs, shops, dedicated game servers, and for many other purposes. What is a root server? 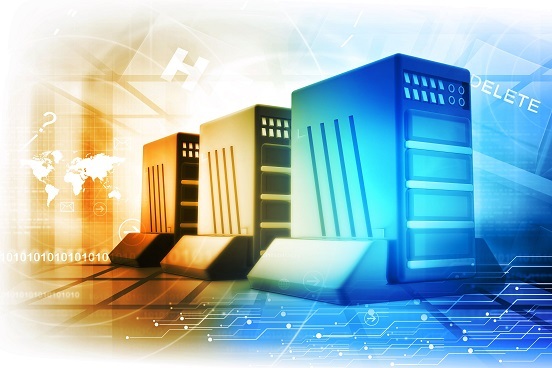 Root servers are suited to professional web hosting projects that require significant resources. Companies and professionals often choose to rent a root server when they need to launch complex projects on a large-scale. This type of infrastructure normally requires a sound level of technical knowledge to be operated successfully. So, renting a root server is a preferred option for those who wish to take control of their IT architecture from the ground up. The configurable dedicated root servers from 1&1 IONOS put these capabilities into your hands. That means that as an administrator, you can design your own infrastructure while enjoying the peace of mind that comes with having 1&1 IONOS technicians handle maintenance, security, and the setup of your root server. You'll benefit from the flexibility of your root server to host a variety of applications, from FTP-accounts to web pages and beyond. The majority of root servers run on Linux. As an OS, it is preferred for its resistance to crashes and limited resource use, plus its unique ability to handle data transfers and data storage. But 1&1 IONOS also gives you the option to rent Windows root servers alongside Linux root servers. The choice is yours. What are the benefits of renting a root server? Root servers are exceptionally flexible. An administrator can maintain and operate a root server from anywhere. In fact, depending on your settings, a Linux root server can be accessed through a mobile device or tablet. This allows you to restart or make changes to your server, add updates, and conveniently manage your data on the run. Root servers give businesses and professionals comprehensive management over the maintenance and security of the server, depending on requirements. You're free to run any number and type of applications on a root server – we ensure it is secure in our data centers. Why rent a root server from 1&1 IONOS? As the administrator of a root server, its management, uses, and settings are up to you. In addition, because it allows you to run a variety of applications from one server, how you configure and use it is up to you. Companies could build their entire IT infrastructure on a dedicated root server, while private users might use theirs to host an online game or as an FTP-server. Whatever your needs or experience level, 1&1 IONOS has a root server configuration and pricing plan that's the right fit for you and your budget. You can even sublet your root server or use it to host services of your own. At 1&1 IONOS, it's your choice!